We can review your current tax and legal documents to ensure no updates or changes are needed for your estate plan. We partner with local tax professionals and attorneys to offer you a broad base of tax knowledge. Let us know if you need an introduction to any of our strategic partners. We can also work closely with any of your existing tax and legal advisors to create a comprehensive plan for your estate. 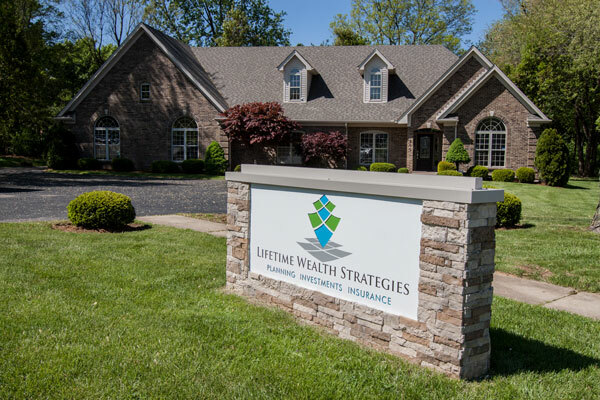 Call us to learn more at 502-267- LIFE (5433). * LPL Financial does not provide professional tax or legal advice. What is a withdrawal rate that will address our goals? What accounts should be used first or in combination to minimize taxes? What type of investments should be utilized that matches the desired risk level? When is the best time to turn on social security to maximize the benefit? How will healthcare expenses affect need? How will the death of a spouse affect the plan and what contingency plan needs to be in place? We can help our clients maximize their charitable wishes. Through our Financial Planning Process we are able to analyze tax strategies that seek to save the most on taxes.